Some commentators have said the 2014 budget is ‘tough but fair’ on businesses and consumers. I agree to an extent – both from a retailer’s and CEO’s perspective. While in the short-term the measures may put some immediate pressure on small business owners, I think this will be overtaken by the long-term benefits. Most importantly for retailers, the gain will be increased consumer confidence brought about by the assurance Australia’s economy is, in their eyes, ‘on-the-up’. For now, making cuts to lower the budget deficit will mean less disposable income for many. However, we also know public sector spending needs to reduce. The government must drop its spending without dampening consumer confidence. By the time many of the measures take full effect, the hope is consumer confidence will be stronger than ever, as will the government’s willingness to spend. The health of the retail sector depends on consumer confidence. Retail sales has been growing over the past year, so it’s imperative the government reassures retailers its long-term strategy isn’t just rhetoric and actually delivers for retailers. As for the immediate impact, it’s going to be a very different story depending on where you sit on the retail spectrum. Small businesses operating at the higher or premium-end will remain strong as household budgets tighten, with consumers looking to spend on durable, high-quality purchases that will last. Those operating at the lower end of the scale may be hit hardest at the outset as families and those receiving government benefits rethink every dollar spent. This will obviously be a huge concern for many small business operators falling into that category. So what can small businesses in the retail sector do to put themselves ahead of the competition? My advice would be to continually innovate so loyal customers are given a reason to keep coming back. Equally as important is the personal touch. People like people, so making sure the service you offer is second-to-none will stand you in good stead for the future. Your customers will tell their friends and family about you, helping your reputation, which will last well beyond the next few years. Ultimately, we need to do all we can until the economic foundations of the country are stronger. If consumer spending is going to take a hit, we need to give consumers a compelling reason to shop with us. If your small business is going to prosper in the future, set the framework now. It’ll pay back well when the economic outlook is a little healthier. 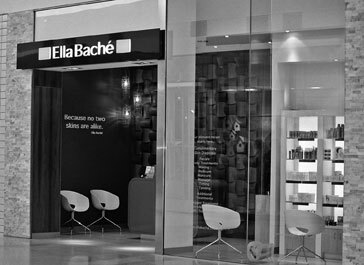 This article from our client Pippa Hallas, CEO of leading beauty salon franchise Ella Baché, first appeared on the Sydney Morning Herald website.